In a country where two thirds of people are overweight or obese, you may be wondering why anyone would want to gain weight! I’ll admit, it’s not something I’m asked about too often. But some people do need help gaining in order to reach a healthy weight. In fact, the Centers for Disease Control and Prevention (CDC) say that around 1% of US men, and 2.4% of US women, are underweight – which carries its own health concerns. Some research has found that being underweight is associated with double the risk of early death in women, and 2.4 times the risk in men. Being underweight can also lead to a compromised immune system, nutrient deficiencies and even infertility, especially in women. Like many health problems, one of the key ways to tackle this issue is through good nutrition. In this case, you might think you’re justified in stuffing your face with pizza, donuts and other junk foods – but that’s definitely not a good idea. Sure, you’ll pile on the pounds, but you’ll also compromise your long-term health. Instead, choose high-calorie, nutrient-dense foods to make up the bulk of your meals and snacks – and ensure that you take in more calories than you expend. Here are 11 tasty foods to add to your diet that will help you reach your weight-gain goals! Avocados are an incredibly nutrient-dense food, containing almost 20 vitamins and minerals per serving. 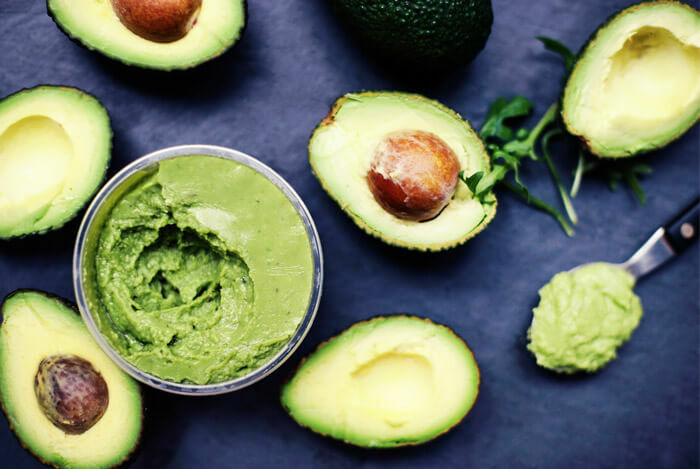 In studies, avocados have been shown to reduce total cholesterol levels significantly, lower blood triglycerides, and lower LDL cholesterol while increasing the ‘good’ HDL cholesterol. They are thought to be anti-inflammatory, thanks to their oleic acid content – which has been linked with reduced inflammation in several studies. In terms of weight gain, avocado can help you reach your desired weight thanks to the fact that one fruit contains around 322 calories, 29 grams of fat, 17 grams of carbohydrate and 4 grams of protein. It also contains a third of your daily dose of vitamin C – an important immune booster, which may be badly needed by underweight people who are more susceptible to illness. Avocado can be sliced or diced and added to sandwiches, tacos or burgers, used in a smoothie or to top omelets for a bulking breakfast. For a snack or sweet treat, try blending avocado with cocoa powder for a healthy pudding, or even hide them in baked goods! 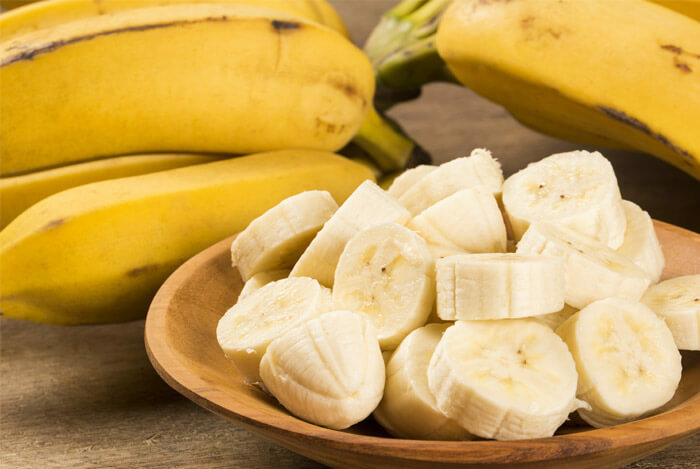 Bananas are a perfect, portable snack and are ideal for keeping in your car or bag. One large fruit packs in 135 calories, 35 grams of carbohydrates and 4 grams of fiber. It’s also a great source of vitamin B6 (28% RDV) and potassium (16%). Bananas add calories and nutrients to a bowl of oatmeal, or to a slice of toast spread with nut butter. Another good, high-calorie fruit is the mango, with one whole fruit also offering up 135 calories. Protein is one of the most important nutrients to ingest when you’re looking to bulk up. A 2012 study, published in the Journal of the American Medical Association, found that protein plays an important part in weight gain – although calories play a bigger role. The researchers divided healthy participants into three groups and added 1,000 calories to their diets, but with varying degrees of protein. Even though all three groups put on weight (thanks to the extra calories), those who ate the least protein gained the least amount of weight. They also lost muscle mass. Fish is a high-protein food, which is also a source of essential fatty acids, vitamin D, zinc and other vital nutrients. A 3 ounce serving of salmon will clock up 175 calories, 10 grams of fat and 19 grams of protein. The same size portion of mackerel provides 223 calories, 15 grams of fat and 20 grams of protein. 3 ounces of cooked tuna steak has just 188 calories and 1 gram of fat but 25 whole grams of protein! 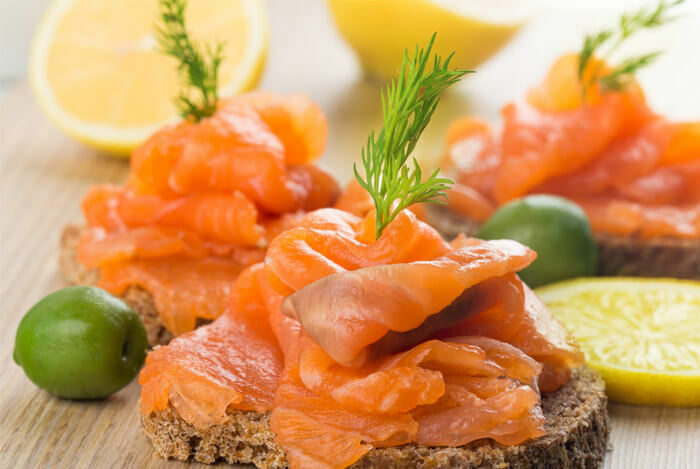 For more of the amazing health benefits of eating fish, check out this article. What are eggs but little packages of protein and fat? And that’s precisely why they’re so good for boosting your weight. 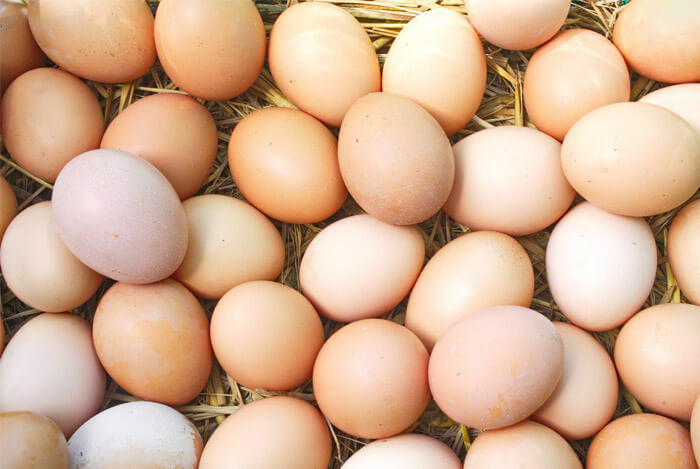 One large egg has 90 calories, 6 grams of fat and 8 grams of protein, which includes all of the essential amino acids our bodies need. There are so many ways to enjoy eggs! Scramble them, fry them, poach them. Put them in a quiche, burrito or avocado. Add them to burgers, sandwiches or on top of your risotto. Nuts are one of the best snacks to have on hand, whether you are looking to lose weight, or gain it! They’re tasty, filling, a source of protein and they provide a ton of health benefits. Naturally, if you’re looking to gain weight, you’ll need to eat more nuts than someone who is looking to drop weight. That shouldn’t be too hard though. Take walnuts – just 1 oz contain 185 calories, along with 18 grams of fat. They also contain 4 grams of protein and half you daily requirement of manganese, along with 22% of your copper needs. Pecans contain 195 calories per ounce, along with 20 grams of fat, 3 of protein, and plenty of manganese and copper. Meanwhile, macadamia nuts have 203 calories per ounce and 21 grams of fat, along with over half your manganese requirement and 23% of your thiamin needs. Don’t forget about nut butters, which provide a lot of calories for a little serving! 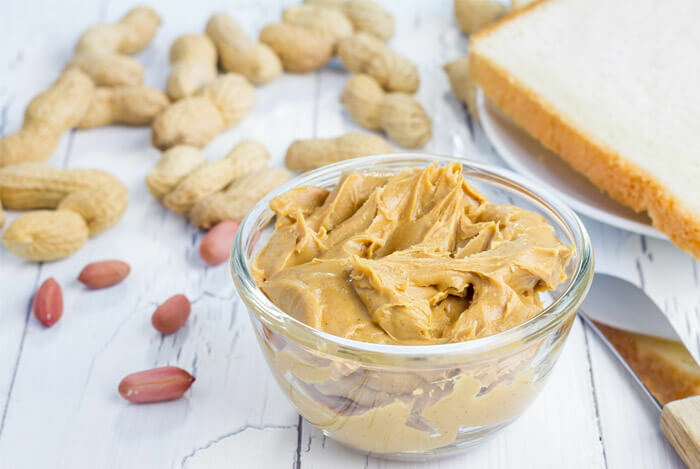 Two tablespoons of peanut butter can give you 188 calories, 16 grams of fat and 8 grams of protein, while the same amount of almond butter has 202 calories, 18 grams fat and 4 grams protein. Snack on nuts, sprinkle them on oatmeal, bake them into breads, and spread nut butter liberally on your toast and crackers. Despite the common misconception, oil isn’t bad for our bodies, although some oils are a better choice than others. When it comes to weight gain, focus on coconut oil or olive oil – both of which are nutrient-dense, and crammed with health benefits. 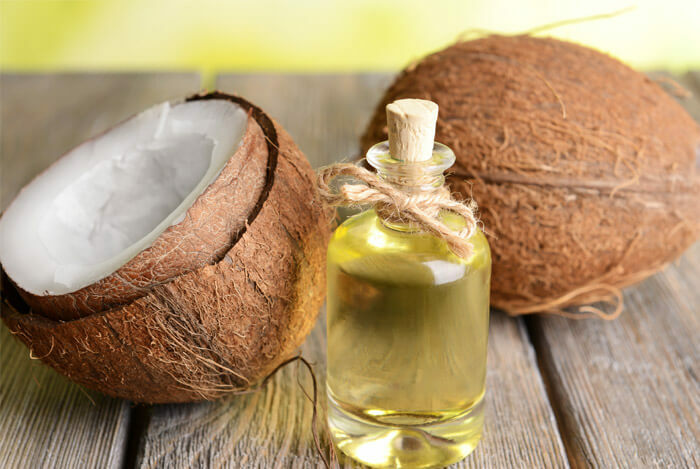 Coconut oil can protect your kidneys, heart and cholesterol levels. It’s also anti-viral and anti-bacterial, which is good news for those with less-than-optimal immune systems. One tablespoon contains 116 calories and 14 grams of fat. Use it for cooking, baking, eat it by the spoonful or stir some into your breakfast cereal or morning coffee for a tropical flavor. Olive oil plays a major role in the Mediterranean diet, which is known for protecting the heart. A tablespoon of olive oil contains 119 calories and 14 grams of fat. To add mass, drizzle it on salads, stir fries, in soups and over vegetables. One cup of cooked whole-wheat pasta shells contains around 200 calories, 41 grams of carbohydrates and 7 grams of protein. Add extra virgin olive oil and some vegetables and you’ll almost hit 400 calories in a small portion. 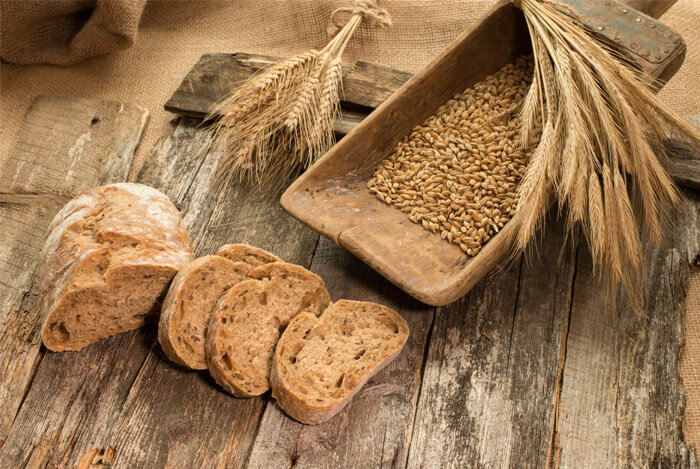 A slice of pumpernickel has 80 calories, 3 grams of protein and 15 of carbohydrates. With nut butter and sliced banana, that can add up to 250 calories easily. Think about it – one tiny raisin used to be one plump, juicy grape. While you might stop after 10 grapes, you’d rarely stop eating after just ten raisins! Of course, this is precisely why dried fruit is an ideal snack for those trying to gain weight. 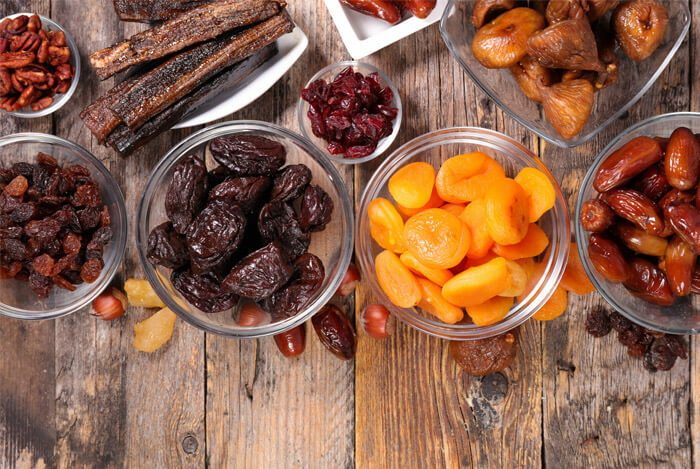 Despite its sugar content, dried fruit can offer more vitamins, minerals and fiber than fresh versions. For example, dried apricots have twice as much fiber as fresh ones, and raisins have four times the iron that grapes do. In addition, one cup of apricot halves has 313 calories, 81 grams of carbohydrates, 4 grams of protein and 1 gram of fat. A half cup of raisins will provide almost 250 calories, 65 grams of carbohydrates, and 2 grams of protein. You can find my favorite trail mix recipe here. 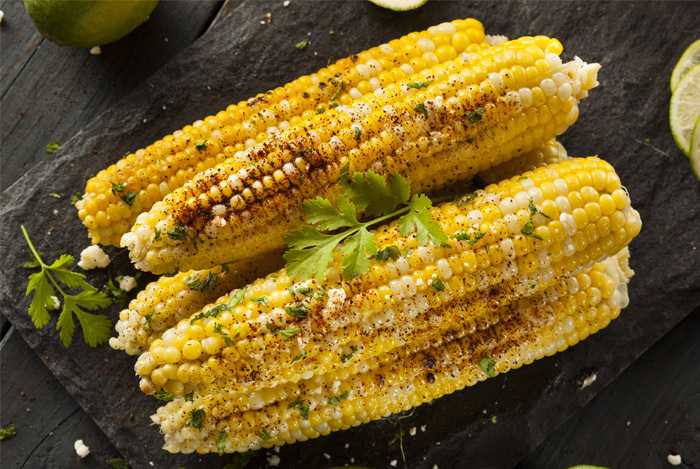 Starchy vegetables like corn, peas and potatoes have more calories than other veggies, so you should favor them over the likes of leafy greens when it comes to weight gain. A cup of cooked peas will provide you with 124 calories and 4 grams of protein; a cup of corn has 152 calories and 6 grams of protein; while a large baked potato provides 278 calories and 7 grams of protein. One of the easiest ways to pack on the pounds is to drink your calories. According to Harvard Medical School, one reason is that the very act of chewing food signals to our brain that we feel full. By drinking energy-dense liquids, we don’t need to chew so our bodies don’t register fullness as quickly, despite a high intake of calories. And, if you swap regular milk for coconut milk, it can be a simple but effective way to achieve greater gains. 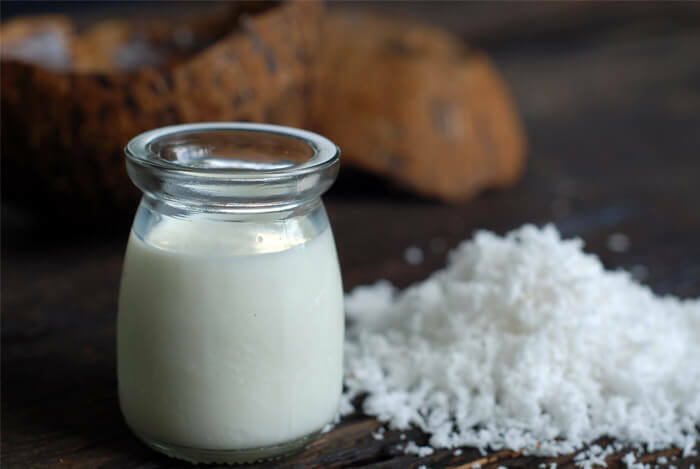 That’s because one cup of whole cow’s milk has 146 calories and 8 grams of protein, whereas coconut milk has 552 calories and 5 grams of protein per cup. That’s an increase of 406 calories – giving you a lot more bang for your buck! 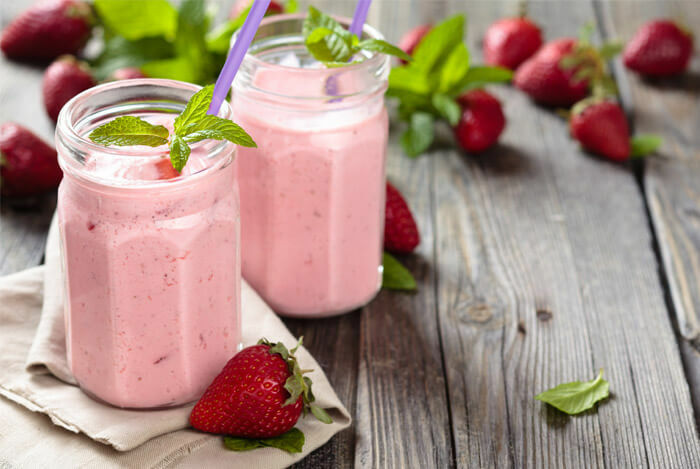 Smoothies and shakes are another way to get liquid calories. The McKinley Health Center at the University of Illinois specifically recommends smoothies for a healthy weight gain. By choosing ingredients wisely, you can pack in six or seven hundred calories into a single drink – giving you the calories of a meal, in just a snack! Avocado, coconut milk, nut butters, oats, whey protein, bananas, dates and coconut oil are all great smoothie ingredients for weight gain. For some simple smoothie recipes to get you started, check out this post. Just like it can be incredibly difficult to lose weight, it can be a struggle to gain it too. Look at this as a long-term plan – just like any other healthy diet. By eating frequently, choosing energy-dense and nutrient-rich foods, and drinking your calories whenever possible, you’ll be doing your body a world of good – even if you don’t see the scales tipping in your favor right away! What’s your take on gaining weight healthily? Have anything else you’d like to share? Let me know in the comments below!